CASA-1000 project involves the supply of electricity from Tajikistan and Kyrgyzstan to Afghanistan and Pakistan. Tajikistan has made an advance payment and foreign ordinal organizations have begun preliminary work on the construction project of the CASA-1000 Tajik section, Tajik media reports. 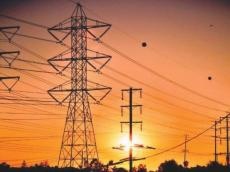 As part of the project, the Indian Kalpataru Power Transmission Ltd will build a Tajik section of an AC power line of 500 kV and the Swedish ABB will build a converter substation in Sangtud region, according to the Ministry of Energy and Water Resources of Tajikistan. The Indian company has already received an advance payment and has begun preliminary construction work. The Ministry of Energy noted that work on the project has also begun in the territory of other countries participating in the project - Kyrgyzstan, Afghanistan and Pakistan. Presumably, 70 percent of electricity will come from Tajikistan, the remaining 30 percent - from Kyrgyzstan. In total, CASA plans to send up to five billion kW of electricity per hour to Afghanistan and Pakistan. If the CASA-1000 energy project is successfully implemented, Tajikistan’s annual income may exceed $ 150 million. The total cost of the project is over $ 1 billion. Earlier, Russian Foreign Minister Sergei Lavrov said that Russia is ready to join the energy project CASA-1000. Although the Kyrgyzstan and Tajikistan both generate a surplus of electricity from hydropower during the summer, these countries suffer from electricity shortages during their cold winters. Because part of the summer electricity cannot be stored, this surplus cannot be used during their cold winters and the toll on their citizens is enormous. The export of electricity into the CASA-1000 transmission system from existing Kyrgyz and Tajik hydropower plants would create significant revenues for both countries. The sale of electricity would only be from surplus summer generation, which is otherwise wasted, and would not impact winter generation or make shortages worse. In fact, the revenues from these exports could be invested to prevent winter electricity shortages. By building new transmission facilities, the CASA-1000 Project would give a much-needed boost to Pakistan’s electricity situation. Given the sweltering heat in Pakistan, its peak demand for electricity occurs in the summer when its neighbors to the north have more than enough electricity to share in the system. The imported energy would increase supply when it is needed most. A functioning, affordable electricity system is critical to Afghanistan’s stability. Transformative projects like CASA-1000 can enable improved transportation, telecommunications, industry, and social services—all aspects of a functioning economy that depend on electricity. The reliable supply of imported energy from the CASA-1000 transmission lines will allow for continued economic development based on existing, clean hydropower resources. Given its location in the transmission system, imported electricity that is not used in Afghanistan could be re-exported to Pakistan. This would generate valuable revenue for Afghanistan that could be re-invested into the country’s continued development. ?ASA-1000 project demonstrates landmark cooperation among the Kyrgyz Republic, Tajikistan, Pakistan, and Afghanistan. The modern and efficient CASA-1000 electricity transmission system will help transform the region and signify an important step toward realizing the planned Central Asia-South Asia Regional Electricity Market (CASAREM). The CASAREM initiative will help not only these four countries but also improve the electricity systems and develop inter-regional cooperation between Central Asia and South Asia. The Kyrgyz Republic, Tajikistan, Pakistan, and Afghanistan have put an important framework in place for making CASA-1000 a reality—the Inter-Governmental Council. In addition to the commitment of these four countries, CASA-1000 has the support of the World Bank Group, Islamic Development Bank, U.S. Agency for International Development (USAID), U.S. State Department, UK Department for International Development (DFID), Australian Agency for International Development (AusAID), and other donor communities. By facilitating clean power export revenues for the Central Asian countries and by alleviating electricity shortages in the South Asian countries, this project will enhance growth prospects across both regions.